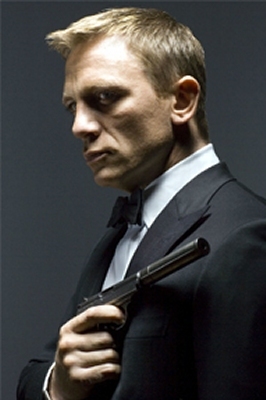 James Bond star Daniel Craig, who is gearing up to start shooting Bond movie no. 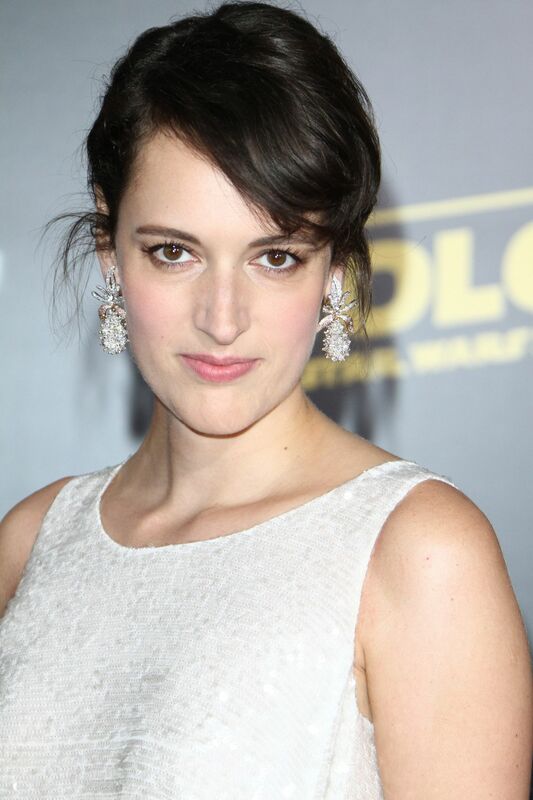 25 later this year, was a special guest of the American CIA (Central Intelligence Agency) recently. The CIA is the U.S. near-equivalent to the UK’s MI6 (Secret Intelligence Service) but, of course, the American Agency is a much larger organization. Like MI6, the CIA engages mainly in intelligence gathering and espionage operations abroad, using a combination of ‘HUMINT’ (human intelligence) and sophisticated monitoring technology. The CIA’s Office of Public Affairs invited the current 007 to meet some top executive officers and other members of the CIA’s workforce, as part of an Agency outreach programme called ‘reel vs real’. The Agency’s outreach programme is designed to help the CIA engage more openly with the general public and, in particular, to combat media and entertainment industry misrepresentation of what the USA’s main foreign intelligence organisation actually does. 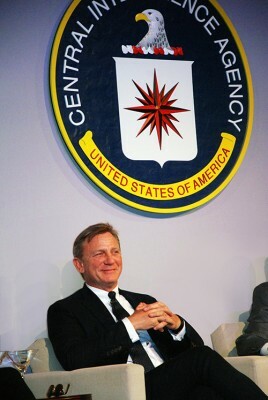 In a press release from the CIA, the Agency said Daniel was told that real-life espionage is a lot more ‘cloak’ than ‘dagger’ compared to the image portrayed in the entertainment world: ‘During conversations with CIA subject matter experts, Mr. Craig learned about the many facets of intelligence collection and how our five directorates work together to advance CIA’s mission’. The press release added: ‘Later, during an engagement with the Agency workforce, Mr. Craig remarked about the teamwork that goes into the intelligence cycle and how impressed he was with the commitment and dedication of CIA officers’. Craig was also photographed standing over the now-famous CIA logo in the main hall of the CIA’s HQ at Langley, Virginia, and – during the course of his visit – also sat under the logo while he listened closely to the CIA’s presentation. The iconic logo has featured in a significant number of movies and TV series, but the Agency seems keen to ‘de-mythologize’ some of the more bizarre representations of the CIA over time. 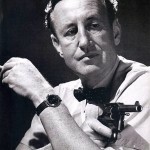 Bond creator Ian Fleming had a warm relationship with the CIA and gave 007 an Agency buddy in the form of field agent Felix Leiter, who first appeared in Fleming’s debut 007 novel Casino Royale. Interestingly, recent research by scholars has thrown further intriguing light on the close bond that developed between the 007 author and Allen Dulles, who was head of the CIA from 1953-61. Some of the secret gadgets dreamt up by Fleming for his fictional James Bond adventures were greatly admired by the CIA director. Indeed, Allen Dulles was so fascinated by Ian Fleming and James Bond that he tried to encourage America’s real-life spy agency to use the Fleming novels as a source for possible new espionage devices, blurring the boundaries between fact and fiction. 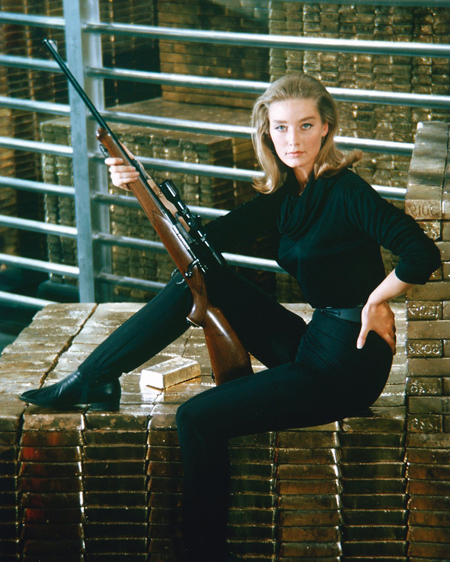 CIA analysts were encouraged to raid the Bond novels for technological inspiration. One example was the CIA’s adaptation of Rosa Klebb’s spring-loaded poison-tipped knife shoe, as used in From Russia With Love (and so memorably used by Lotte Lenya in the 1963 movie version). However, it is not known whether the CIA actually put it’s own version of the device into action in the field! At a personal level, Fleming and Dulles also admired each other and met on a number of occasions. Significantly, in 1964, in an edition of Life magazine, Dulles referred to Fleming as ‘brilliant and witty’. As many Bond fans know, in 1965 Allen Dulles also contributed an essay on his friendship with Fleming to the Panther paperback For Bond Lovers Only, entitled ‘The Spy Boss Who Loves Bond’. 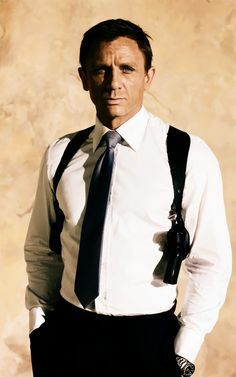 The character of CIA agent Felix Leiter has also been used on a number of occasions in the EON James Bond movie franchise, most recently in Quantum of Solace, where he was played by Jeffrey Wright. 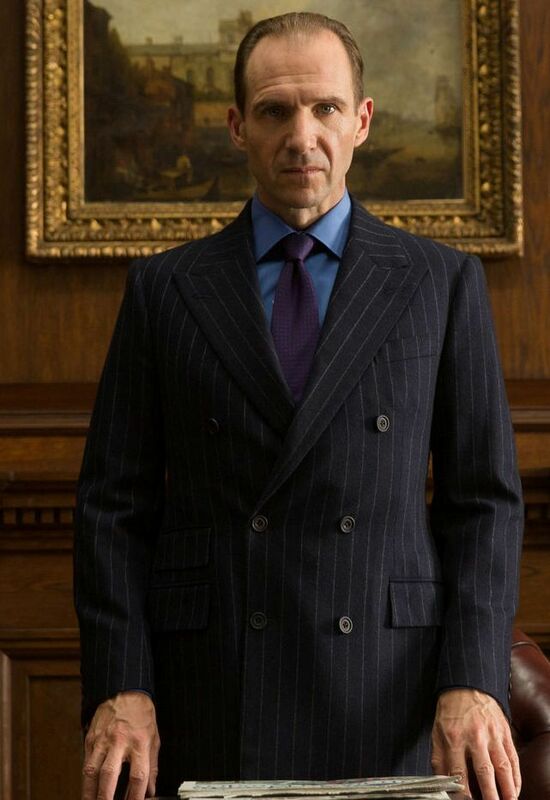 The actor has hinted recently that Leiter could possibly return in Bond no. 25.